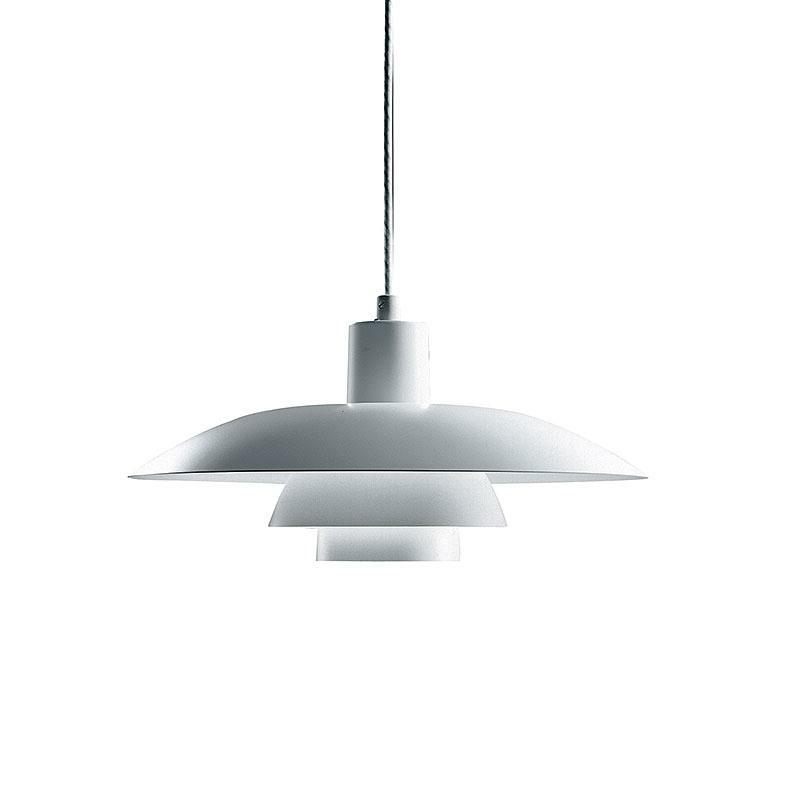 As from another world affects the pendant lamp PH 4/3 of the renowned, sprung from Denmark Louis Poulsen company, which is counted by decades of experience in the field of lighting and design to the absolute top manufacturers. Like its sisters from the PH series consists of Illumination body consists of three different sizes, stacked trays which give rise to a reflected glare-free light show through this simple yet innovative arrangement. The solid aluminum, of which the phosphor screen is made, acts in every conceivable space scenario almost spherical especially in combination with the well thought out, aerodynamic shape. With a diameter of 40 cm and a height of 20 cm, the pendant lamp PH 4/3 classified in the medium-sized category and is ideal eg for the dining room, where they will particularly combined with several lights for a unique spectacle of light. Equipped with a strong 100W E27 light bulbs and in white light body makes this a rare classic, but again seemingly modern home design shows, has no equal.